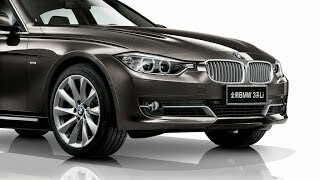 Last year BMW officially announced that they intend on launching a long wheelbase BMW 3 Series specifically designed for the Chinese automotive market. More than one year has passed since and it looks like BMW is preparing to send the long wheelbase BMW 3 series into mass production. 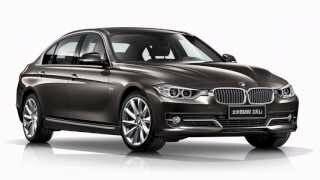 As the launch date gets closer to us, this is a better time than ever to take a look at what the long wheelbase BMW 3 Series has in store for the Chinese market. First and foremost, no modifications have been done to the engine, so the long wheel base model will be made available in three distinctive variants, the 320Li, the 328Li and the 335Li. As expected, the 320Li will produce 184 horsepower, the 328Li will develop 245 horsepower and last but not least the 335Li which offers 306 horsepower. 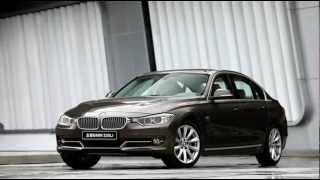 The exterior of the long wheelbase BMW 3 Series 2013 remains virtually the same apart from the 4.5 inches added to the wheelbase, a few chrome touches on the C-pillar and the "L" emblem stuck on the trunk lid. On the interior however, the long wheelbase BMW 3 series will offer a bit more in the luxury department compared to what you'd get from a standard BMW 3 series, a notable addition being the reading lights fitted for the back seat passengers. 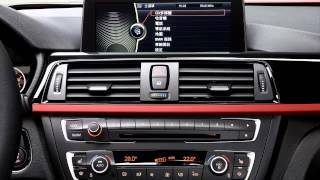 Furthermore, BMW claims that the long wheelbase 3 series offers the best rear seat travel comfort, so overall, the stretched sedan shows that it's designed specifically for the Chinese market, where back seat leg-room and comfort are the best selling points. The long wheelbase BMW 3 series has been developed at BMW's head office in Germany but it will be produced in the new Shenyang production plant, where the long-wheelbase 5 series is also produced. The stretched 3 series is expected to hit the Chinese market this July, but as far as pricing goes nothing has been officially announced yet. Furthermore BMW officials said that at least for now, the long wheelbase variant is not planned for a US or European release. It will be quite interesting to see how the upcoming long wheelbase BMW 3 series will cope against its competitor, the Audi A4L which is already a very popular and successful long wheelbase sedan in China.